Creativity wants to move through our lives, and lift our spirits in the process. Creativity is an energy that we can ask for, surrender to, and commit to each day. Making art is just one form of creativity. Creativity might be the way you arrange your most treasured keepsakes. It could be the way you parent, teach, move, and speak. How you dance or sing (in the shower or on stage!). 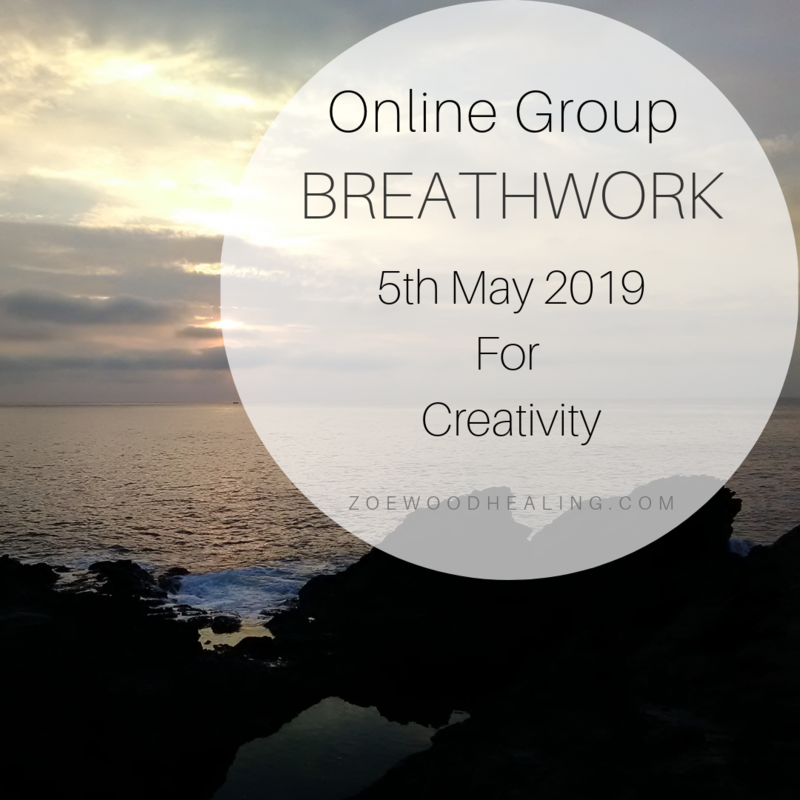 Breathwork helps creativity because it is a way to release fear, and connect you to your deeper self. It leaves you feeling clearer on what you want to create, and gives you courage to see it through to completion. You want to reclaim your creative gifts. You have a jumble of ideas hidden under your bed. You are riding a wave of creativity and need nourishment. You would like to create with more consistency. You find it hard to value your work. You feel like you have so much to share inside but you don´t exactly know what it is. BREATHWORK is an active meditation technique which feels like rocket fuel for your soul´s journey. The session is guided using a simple breathing technique, which brings you into an altered state of consciousness. In this state, we work to clear the emotional body of stuck emotions, releasing old patterns and ways of being. The session closes with a rest phase, a place of deep relaxation and connection to your heart. Breathwork is empowering. It helps you to access your intuition, creativity, and natural healing capacity. You will leave feeling lighter, and more spiritually resilient. The group takes place via Zoom, I will send you a link before the call. You will receive a recording following the session via email to re-play as you wish. It is also a great option if you cannot make the time of the call. Registration closes 5th May 4pm (Barcelona- CET). The nature of energy work means that it isn´t affected by time or place, meaning it is 100% as powerful if we connect through a screen or face to face (plus you get to be in the comfort of your own home for easy access to post-treatment nap or tea!). Similarly, if you can´t make the time of the call, the full healing experience is received by using the recording at a later date. I recommend that you take ten minutes or so beforehand to get your space set up, you may want to burn sage, use essential oils, or have any stones beside you. You will need a quiet place to lie down, a blanket, and a cushion or pillow. Wear anything comfortable that you can easily breathe in. Many people like to have a notebook to hand. You don´t need any experience, it can be as effective on your first or 100th time!